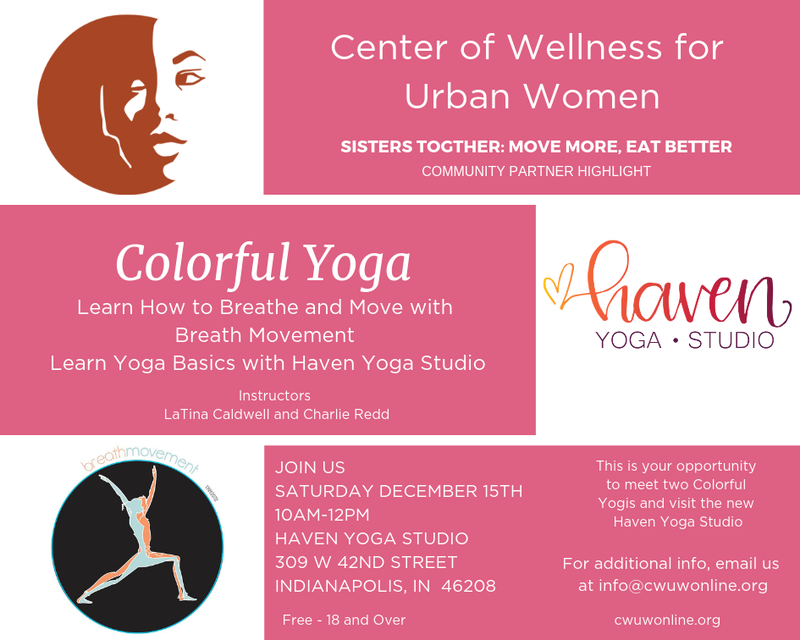 Colorful Yoga — Centers of Wellness for Urban Women, Inc.
After walking with our walking group, join us at Haven Yoga Studio for a yoga workshop where you will learn breathing techniques, and yoga basics. Meet our yoga partners from Breath Movement and Haven Yoga Studio! Its Free! Bring your mat and some water!